Fgro is the world’s leading independent provider of geo-intelligence and asset integrity solutions. Working across Fugro’s Land and Marine divisions, Fugro GeoServices Ltd is a Geotechnical contractor and innovator; We have conducted thousands of site exploration programs for a wide variety of projects – from petrochemical and power plants to roads and bridges; public works and commercial structures to healthcare and athletic facilities. With the right equipment, relevant experience and knowledgeable personnel, we develop and conduct effective site exploration programs for projects of any scope at any location. We are seeking a highly motivated and organised Tendering Engineer to provide proposals which are compliant with client’s requirements and in accordance with company procedures, Health and Safety and Quality Policies. Preferably a degree in Geology, Earth science or Civil Engineering. Experience in tendering or Project Management. The role will be predominantly based in our Consett office and the candidate will be versatile and proactive, able to manage priorities, use initiative and multi task. 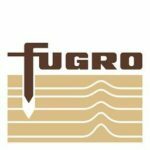 You must follow company procedures and processes, solve problems and support your colleagues throughout Fugro. Ideally you will have excellent IT, communication and interpersonal skills and you will need a full driving licence. This is an extremely exciting opportunity to coordinate a critical, high paced and challenging function of the business which is highly rewarding. Our successful candidate will receive a competitive salary and benefits package.